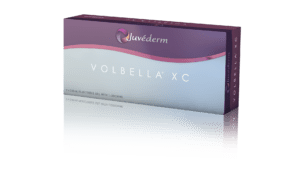 JUVÉDERM VOLBELLA® XC is the newest dermal filler from Allergan. Volbella was approved for the use in the lips as well as the softening of lines around the mouth. Volbella is formulated VYCROSS®, a proprietary filler which is a blend of different molecular weights of hyaluronic acid. Due to the lower concentration of HA, Volbella offers the smooth subtle volume with the long lasting results of the Juvederm family of fillers. Through FDA trials, two-thirds of the patients treated with Volbella maintained improvement in lip fullness and perioral lines through 1 year post injection. Ask Dr. Zoumalan about the family of Juvederm fillers and see if Volbella is right for you.